Alexandra Jardvall from Stockholm is a well rounded, professional artist with an understanding of several music styles, from Swedish folksongs to Springsteens Rock n' Roll. 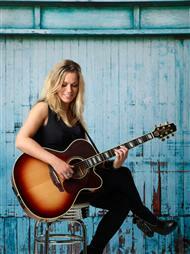 Alexandra is an experienced musician that has been involved in several exciting challenges. She has among other things sung for the Swedish Royal Family.